As a young child, I loved to make sand castles on the beach. People never recognized them as castles, as they were really my first abstract sculptures. I have worked in almost every material, form, and scale- from carved stone to neon, argon, or mercury gas-filled blown glass; from classical clay figures to welded or cast metal abstract objects; from jewelry-sized sculptures to monumental 40 foot fabric installations. This encompassing experience drew me back to the oldest material of Man, the one that I continue to find the most expressive ... Stone. 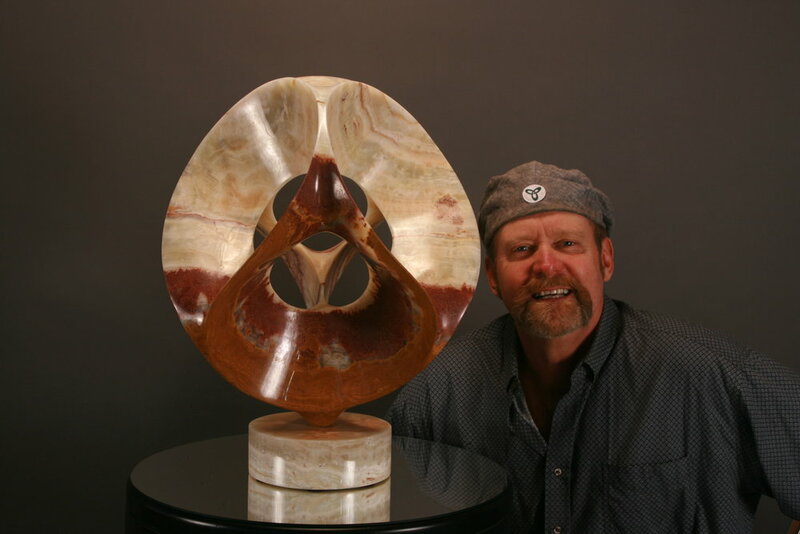 I am currently working to enlarge molds I have taken from some of my favorite stone sculptures, in order to create monumental Bronze installations. My loves of carving, casting, and technology have formed a perfect relationship, allowing me to take sculptures I have carved by hand and create bronze editions that carry the same integrity as the sculptures they are molded from. What makes T Barny unique?